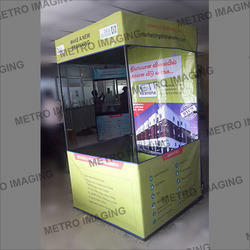 We are a leading Manufacturer of outdoor advertising, advertising table, portable exhibition tent, advertisement canopy, promotional table and product promotion table from Chennai, India. 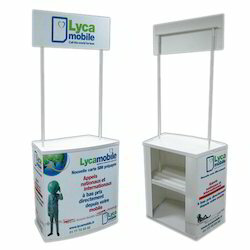 Collapsible, Portable and reusable PVC tables for sampling, marketing and selling your products or services. Takes very little floor space. No tools required to setup. 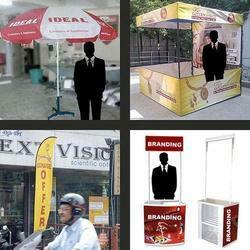 Since our inception, we are instrumental in offering premium quality Tent Advertising. 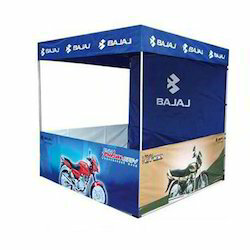 Easy to install in anywhere for promoting your brand, this tent advertising is designed by our highly experienced professionals by using modern techniques & quality material in strict adherence with the set norms. 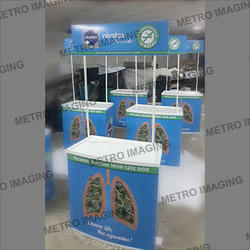 We offer this tent advertising to our customers as per their needs at reasonable prices. 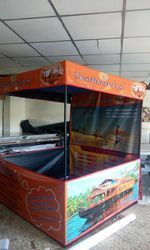 Canopy with advertising digital printed skin. 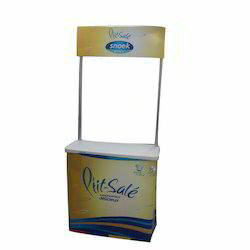 In our endeavor to meet the exact demands of clients, we have come up with a premium quality range of Promo Table. Our professionals design this promo table with precision within the stipulated time frame by using best quality of material. 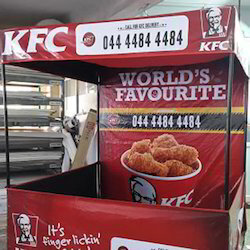 Our promo table can be customized in accordance with the requirements of customers. Also, this promo table is well checked before showing to the customers in order to assure its quality. Owing to perfection and quality oriented approach, we have carved niche in the industry by offering an enormous grade array of Tent - Flat Roof. The offered range is manufactured using high grade raw material and advance technology by our skilled professionals. To ensure quality, this tent is stringently tested on various parameters. 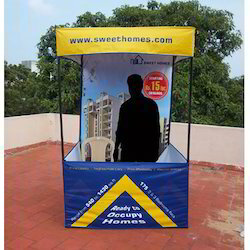 Clients can avail this tent from us in different specifications, as per their needs. Advertising Event Tent available in three sizes. Large Model takes 6x6 feet floor area, Medium model takes 5x5 feet floor area and Small Model takes 4x4 feet floor area. 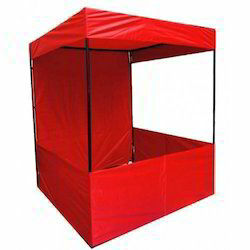 Tent can be collapsed and transported easily with carry bag provided. 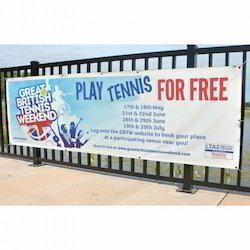 Outdoor durable banners with vivid colors. 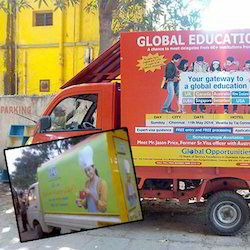 Looking for Outdoor Advertising Products ?